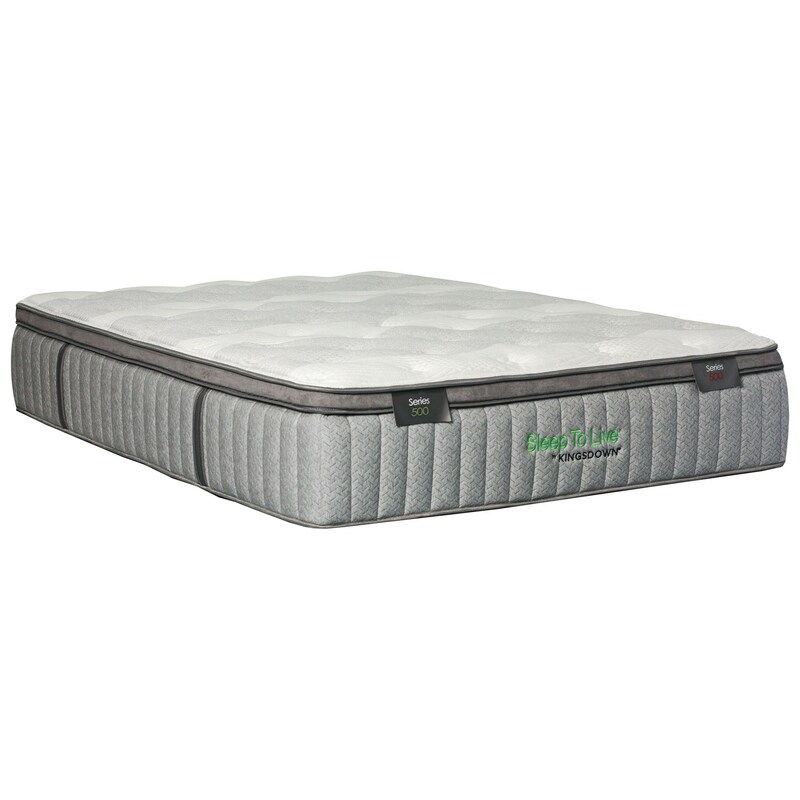 High-density foam on all sides of this exceptional edge support system provides a complete edge-to-edge sleeping surface with superior support while airflow channels allow air to circulate freely. A personalized, dual layer support system designed to mitigate pain and keep the body properly supported across 5 anatomic zones: head and shoulders, lumbar, hips, legs, and feet. Gel infused memory foam delivers superior conformance and breathability and helps keep your body's temperature regulated throughout the night. Gel infused memory foam delivers powerful lumbar support for optimal spinal health. The Sleep to Live 500 Gold Queen 14.5" Ultra Plush Pillow Top Mattress by Kingsdown at Ruby Gordon Home in the Rochester, Henrietta, Greece, Monroe County, New York area. Product availability may vary. Contact us for the most current availability on this product. The Sleep to Live Back Smart 500 Gold Series offers a very soft sleep with personalized support for optimal sleep health through a combination of individually wrapped precision coils and memory foam. The Coolactive Memory Foam with Airflow is a gel-infused foam that conforms to your body and helps keep your body temperature regulated throughout the night which allows for better sleep. The Sleep to Live 500 Gold collection is a great option if you are looking for Mattresses in the Rochester, Henrietta, Greece, Monroe County, New York area.